When the governor of Vermont vetoed a marijuana legalization bill this week, he said he was especially worried about stoned driving. He wants to hear more about an "impairment testing mechanism" to detect it. 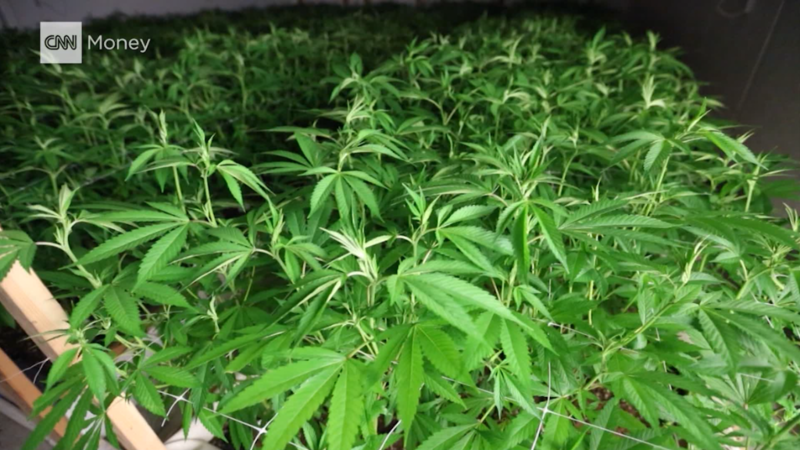 Urine and hair tests can detect whether a person has used marijuana or other drugs within the last few days or weeks, but they can't tell when a person is stoned at any one moment. 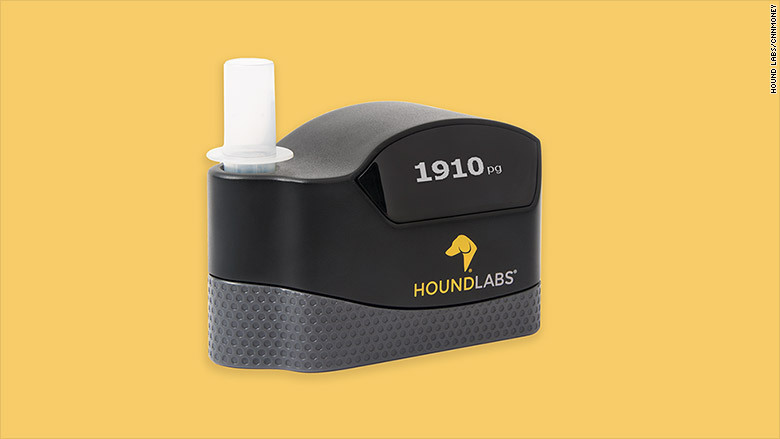 Hound Labs and Cannabix Technologies are developing small handheld devices with tubes that people can blow into, just like the roadside tests that detect drunken drivers. "We tested on so many people now that we're quite confident," he told CNNMoney. He said his company's device will cost $600 to $800 and will be sold to police departments -- and employers, too. In the eight states where recreational pot is legal, companies might not care whether their workers smoked weed the night before, but would definitely care if they are driving trucks or school buses while stoned. "We know it works," said Dr. Bruce Goldberger, a forensic toxicologist and science adviser to the company. 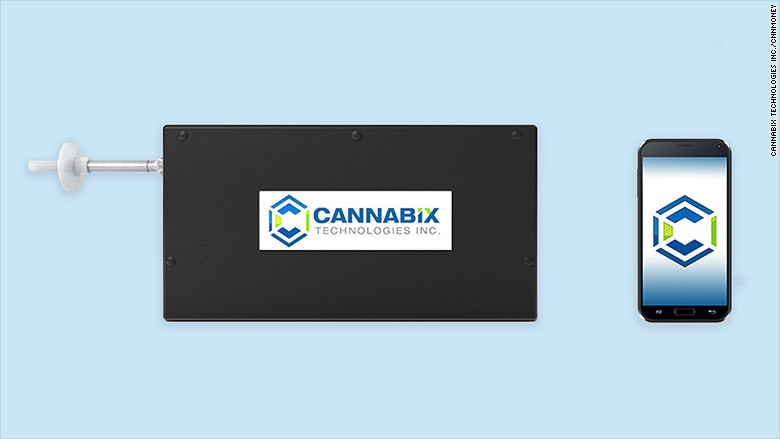 Cannabix Technologies is developing a marijuana breathalyzer that can detect THC molecules. Police don't have a roadside drug testing tool like this. Goldberger said police in other countries sometimes use saliva swabs that can detect drugs, but those haven't caught on in the United States. Bob Griffiths, a retired officer and the director of police standards and training for the Alaska Department of Public Safety, said saliva testing technology "has not proven reliable." This is why it was never adopted in Alaska, where recreational marijuana sales became legal in October. Griffiths said Alaska police currently conduct field sobriety tests that he described as "fairly rudimentary," and that the marijuana Breathalyzer "shows promise." But it still has to be tested by the police, and approved by the courts for use as evidence. "I've arrested people who had zero-zero alcohol but they could barely stand up," he said. "I would say that recreational marijuana, whether legal or not, has always been a problem with impairment with drivers in Alaska."